Clinical chemistry refers to the biochemical analysis of body fluids. It uses chemical reactions to determine the levels of various chemical compounds in bodily fluids. 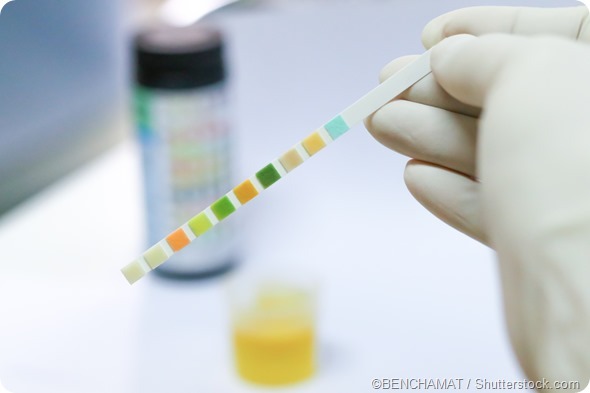 Several simple chemical tests are used to detect and quantify different compounds in blood and urine, the most commonly tested specimens in clinical chemistry. Techniques such as spectrophotometry, immunoassays, and electrophoresis are also used in clinical chemistry to measure the concentration of substances such as glucose, lipids, enzymes, electrolytes, hormones, proteins, and other metabolic products present in human blood and urine. Serum is the most common specimen tested - it is obtained by centrifugation of coagulated blood. Serum contains no blood cells or clotting factors but has electrolytes, hormones, antigens, antibodies, and other substances such as drugs, microbes, and proteins not used in coagulation. Plasma is obtained by centrifugation of uncoagualted blood. It contains blood cells, clotting factors, glucose, electrolytes (such as sodium, magnesium, calcium, chloride), hormones, and proteins (such as albumins, fibrinogen, and globulins). Clinical tests usually require a 24-hour urine collection. The collection container usually contains a preservative. CSF is a clear fluid present in the brain and spine which is largely similar to blood plasma though it differs by containing nearly no protein. It is usually analyzed in clinical chemistry to identify or rule out meningitis. Glucose levels indicate the body’s efficiency in metabolizing glucose. Fasting and random glucose levels in blood help in the diagnosis of endocrinological disorders such as hypoglycemia (low blood sugar) and diabetes. Lipids are present in different forms as body fat, as part of cell membranes, and as sterols such as cholesterol. Lipid levels can help diagnose liver and heart disease in humans. For example, high levels of total cholesterol and triglycerides in blood are a risk factor for cardiovascular disease (CVD). High-density lipoprotein (HDL) is a good form of cholesterol which offers protection from heart disease whereas low-density lipoprotein (LDL) is a harmful form which is another risk factor for CVD. Measuring the levels of enzymes released by organs into the blood can indicate problems with the particular organ. For example, levels of the enzyme creatine kinase in the body indicate heart or skeletal muscle damage, alanine aminotransferase or aspartate aminotransferase levels can help diagnose liver disorders, and amylase and lipase levels signal pancreas inflammation or pancreatic carcinoma. 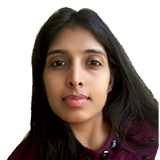 Hormones secreted by endocrine glands of our body regulate various processes. An increase or decrease in hormone levels can signal hyperactive or hypoactive glands respectively. For example, cortisol is a hormone secreted by the adrenal glands, thyroxine (T4) and thyroid stimulating hormone (TSH) are secreted by the thyroid gland, and follicle stimulating hormone (FSH) and growth hormones are secreted by the pituitary gland. Hence measuring the levels of these hormones can help determine if the corresponding glands are functioning correctly. The concentration of proteins in the body can be indicative of nutritional and metabolic disorders and some forms of cancer. For example, total protein and albumin levels help diagnose liver or kidney disease in addition to malnutrition. Globulin levels and the ratio of albumin to globulin can help detect infection, inflammation, autoimmune disease, and some forms of blood cancer. The levels of various electrolytes such as sodium, chloride, potassium, calcium, bicarbonate, phosphorus, and magnesium in the body can help diagnose some kidney and metabolic disorders. Some metabolic products can be measured to assess the functioning of certain organs. For example, levels of urea, nitrogen and creatinine in the blood are indicators of kidney function. Similarly, uric acid levels can signal kidney disease, gout, and damage to other tissues. 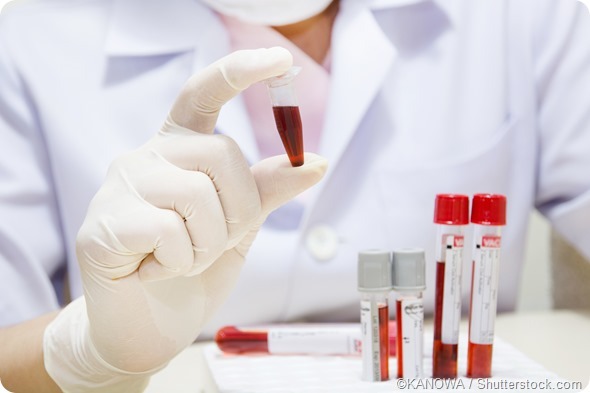 Blood and urine tests that give abnormal results are usually repeated to make sure there is no sample or lab error and are also followed up by more specialized clinical tests.